I love sushi and so does most of the rest of the world. It's fresh and delicious and actually gorgeous. Have you SEEN the color of raw tuna? I want to paint my LIFE in it! Anyway, as with most things I love, I decided to try to put it on my nails. Because, naturally. 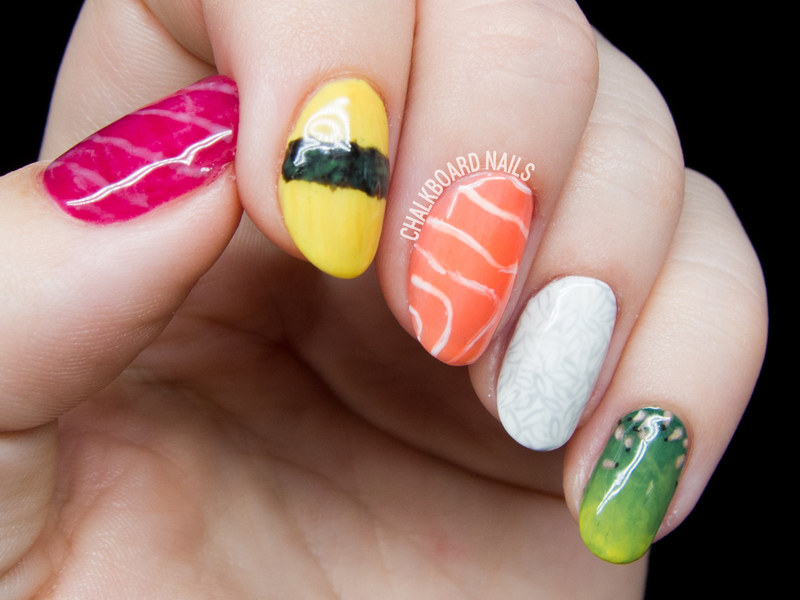 I've seen a lot of gorgeous interpretations of sushi nails lately, but I did try to make mine "my own." On my thumb, I put my bae tuna. My pointer is tamagoyaki, which honestly I chose more for it's color than anything -- I have only eaten it once! 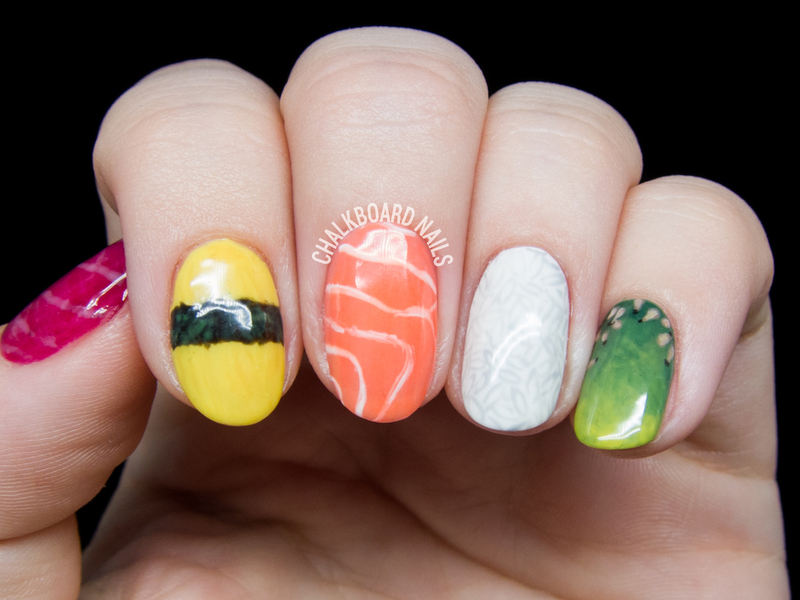 My middle finger is salmon, my ring finger is rice, and my pinkie is intended to look like avocado with sesame seeds. 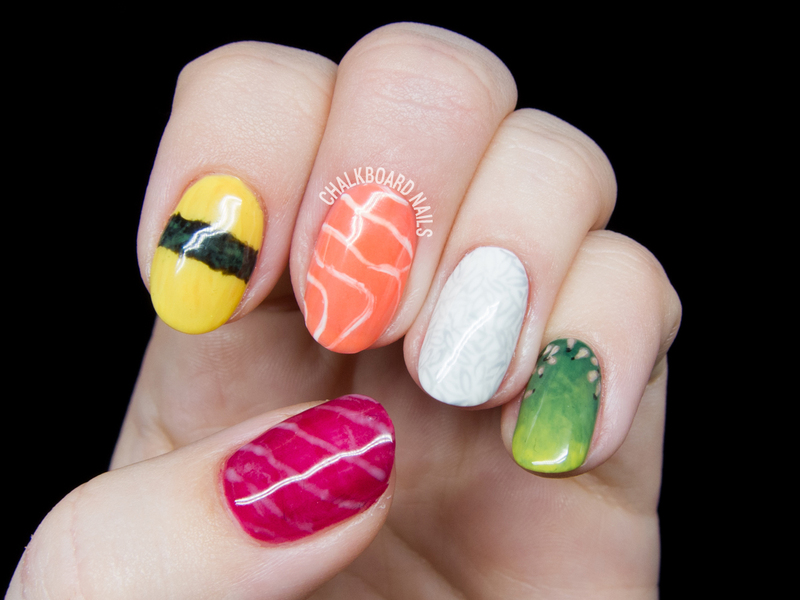 Quick sidebar about the rice nail that might give you some insight into my brain: in hindsight, if I were to do this all over again, I would paint individual white grains of rice over a negative space clear nail. I think that would read more like rice and look cooler than what I attempted here. The grey patterning is hard to read. Are you a sushi fan? What's your favorite thing to order?